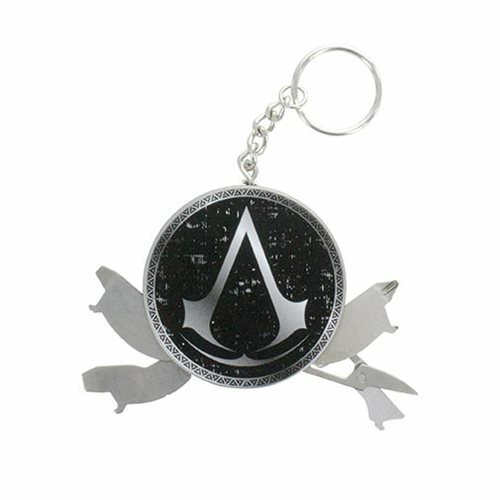 Be prepared for whatever situation may arise on your next adventure with the Assassin's Creed Multi-Tool. This super-handy keyring, featuring the iconic logo, comes equipped with scissors, a bottle opener, and both cross and flat head screwdrivers. This circular, metallic keyring is sleek and stylish and is the perfect accompaniment to your next adventure. Be prepared to tackle any scenario and carry this tool with you everywhere you go.